Now, learn how you can Manifest Money and turn your investing business into a financial success. In order to become a successful real estate investor there are several major skills that must be mastered. One of these skills is acquiring the money, or manifesting money, to fund your real estate investments. This skill should be learned, developed, practiced, and perfected. Many real estate investors fail because they do not understand the importance of the constant search for the money. There are plenty of good deals to be found, but in order to take advantage of those deals–you must have access to (or the skills to get) the money needed to fund them. A good place to start searching for money is at local state banks. Many locally owned state banks have programs just for real estate investors. Note: When you find these banks you should also ask them how they dispose of their REO properties. 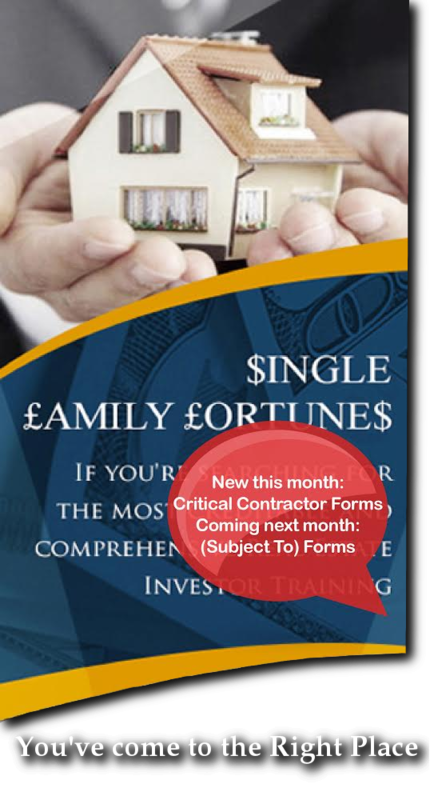 You will also need to make contact with lots of banks and mortgage companies to find out their terms for investors. If you are turned down for a loan from a bank or mortgage company—NEVER let that stop you from applying to others. If you stop applying for loans—I can guarantee that you will never get one, but if you are persistent you might just be surprised at your results. Having a positive attitude, a good credit score, and persistence are three keys to finding all the money you will ever need for your investing business. Learn to play the credit game, so that your credit score will be an asset to your search rather than an obstacle. Finding money is like finding good deals—you have to make a lot of offers to get a great deal, and you have to keep searching for money to find what you need. Your goal should always be to purchase as many properties as possible without using any of your own money. So if you are able to get a loan for 80 or 90% from a lending institution you shouldn’t stop there–but continue to look for the rest of the money from another source. By far the easiest way to get nothing down financing for a property is owner financing. With owner financing you not only get the property with none of your own money, but you avoid credit checks, loan apps, banks, waiting, most closing costs, stress, and the list goes on. 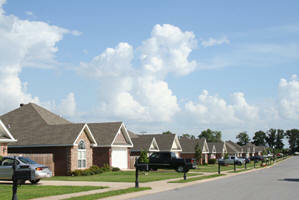 I hope this article will help you in your quest to build wealth through real estate investing. 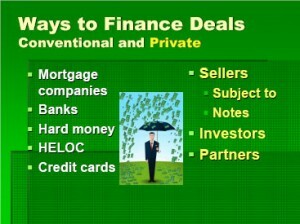 For more articles on real estate investor training, visit my website at www.dennisjhenson.com. Also, on that site, you may sign up for free reports, articles, and e-books and find free forms, documents, MP3 downloads and much more. Also, visit Evaluate My Deals for a great real estate investing tool. Learn other secrets of success like this: Manifest Money.